Cape Oysters located in Klein Bark River near Mossel Bay is a family business run by the 7th generation of MunroÃ¯Â¿Â½s. Oysters are harvested with legal permits form the ocean ensuring that Cape Oysters are suppliers of the best fresh wild oysters. The Oysters harvested are from the specie Streostrea Margaretacea Ã¯Â¿Â½ also known as Common Rock Oysters. Cape Oysters are legal Oyster Harvesters and distributors in the Garden Route. Oysters can be distributed though out South Africa.Ã¯Â¿Â½ All Oysters are live, none frozen and can live without water for up to 1 week in 12 -15 degrees. If you are in the Garden Route visit Cape Oysters in Klein Brak River near Mossel Bay and enjoy fresh oysters directly from the harvesters!Ã¯Â¿Â½ Oysters are best enjoyed with Tabasco Sauce and a light white wine! 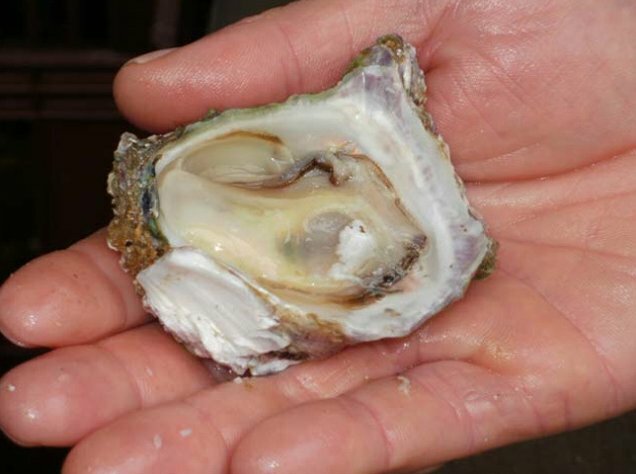 Enjoy fresh wild oysters at the rustic Oyster Tavern in Little Brak River. The oysters will be opened right before your eyes!